DB Breweries’ trade mark of the term ‘Radler’ in 2003 has been upheld by the Intellectual Property Office of New Zealand. If you’re new to the issue, there is great TV coverage of the story here. I also covered the story a few years back, with some of that coverage below including responses from DB’s then spokesperson. Essentially, DB Breweries, makers of Monteith’s, have trademarked the name of a German beer style that they didn’t invent and that they have completely bastardised into the beer equivalent of a sweet, fruity alcopop. DB claims they to did so to “protect the significant investment DB has made in creating and marketing the brand” – they can’t even allow themselves to refer to Radler as a style. This is the worst form of cynical business practice, using trademark law to effectively annexe an idea – and not an original idea – in a local market. Monteith’s Radler is a brand that can be owned by DB Breweries, Radler is a style owned by beer lovers the world over – including New Zealand. DB’s ability to trademark an international beer style should be regarded as a national embarrassment by New Zealanders, but DB’s cynical use of trademark law shows that the company does not care about beer and nor does it care about developing a beer culture. It is only interested in putting a wall around a style and colonising it. Their extraordinary brandwank is one thing, their persistence in maintaining a trademark over a beer style – Radler – marks them out simply as vandals on the beer landscape. Every time you buy a beer, you make a decision about how you want the beer landscape to look in the future. When you choose Monteith’s you are choosing hype, spin, marketing and dross over substance, flavour and an evolving beer culture. DB Breweries’ act of registering names that they knew were traditional beer styles as trade marks is a cynical corporate act that hurts beer by preventing other brewers from using the legitimate names of beer styles to describe their product. DB knew what they were doing and their sole argument justifying their actions is they claim to have invested heavily in their brands and so are entitled to protect them. Except that “Monteith’s Saison” or “Monteith’s Radler” or “Original Crafted MONTEITH’S Strong & Malty Bock WINTER BIER” are brands (although as the article makes clear, not even the first two are trademarkable in Australia). Radler and saison by themselves are styles. Following their logic, the way they are promoting the beers and talking up their history and origins they want to cash in the history and evolution of the tradition of these styles – the hard work and intellectual property of the people who actually created the styles – but deny their use to other New Zealand brewers. What they have done essentially comes down to saying “we were first to the door so we are entitled to slam it behind us”. Simple, except in the eyes of the law and empty corporate suits. In researching the article I emailed questions to both Dominion Brewery DB Breweries and the Intellectual Property Office of New Zealand. I wasn’t able to include much of their replies in the actual article, but for completeness here are their answers in full. (I have to say that the Senior Communications Advisor from New Zealand’s Ministry of Economic Development was very helpful and her answers very complete – and informative about trade mark law). So, as conflicted as I feel supporting a call for a boycott of a beer that I have been singing the praises of until now, I’ll get over it. This sort of crap can only hurt beer by making it harder to promote good beer and educate the public about something other than bland lager. If a brewer can’t name a beer after its style then that’s just wrong…especially when the trademark owner bastardises the style as they’ve done with Radler (although they’re not alone there). Even if Dominion DB Breweries was legitimately able to register the trademark – and the court case will decide that – it’s bad for beer and bad corporate citizenship. Regarding your inquiry about trade marks, I hope the following explanation about the process surrounding trade marks is helpful. The trade mark system, established under the New Zealand Trade Marks Act 2002, generally has three stages in which concerns about a trade mark can be raised: examination; opposition; and invalidity. 1. As part of the examination process, the Act requires IPONZ to consider the eligibility of a mark for registration at the date on which it was applied for. This would include conducting a search of the New Zealand trade marks register to determine whether the trade mark applied for is confusingly similar to another trade mark already on the register and conducting research into the meaning of the trade mark applied for in New Zealand at the time of filing, including whether at that time New Zealand consumers would have understood the trade mark as describing a characteristic of the goods or services for which registration is sought and whether other traders would have a legitimate need to use that trade mark in connection with their own similar goods or services. If no concerns are raised by IPONZ, or the applicant’s written response satisfies IPONZ that its initial concerns in relation to the application should be withdrawn, the trade mark will be accepted and published for opposition purposes. 2. Opposition is a way of challenging a trade mark once it has passed through the examination stage and has been accepted for registration. This mechanism allows anyone who thought the trade mark should not be registered to lodge an objection opposing registration of the trade mark. If no opposition is lodged, the trade mark will proceed to registration. 3. The invalidity process is a way of challenging a trade mark once it has been registered. An invalidity proceeding has the extra hurdle of a party having to show why they are aggrieved by the registration. The trade mark system is designed to accommodate conflicting views and to provide workable processes for the resolution of the opposing interests and views of different parties. Regarding the “radler” case, it is currently before the hearings office and as such, it is inappropriate for us to comment on it. Nonetheless I hope this information is useful. You mention that there is an opposition stage. How is the registration advertised so that interested businesses and consumers may learn of the trademark and object if needed? When an application for registration of a trade mark is accepted, the application is advertised in the New Zealand Patent Office Journal. The Journal is published on a monthly basis and is available to search and download from the IPONZ website at www.iponz.govt.nz. Any person who wishes to oppose the registration of the trade mark can do so within three months from the date of advertisement in the Journal. Without dealing specifically with the radler case, are specialty trade terms that may not necessarily be widely known to NZ consumers but are used internationally within a specific industry – including commonly overseas – trademarkable? When assessing whether a term is eligible for registration as a trade mark, IPONZ will determine how the term would be understood by New Zealand consumers at the time the application was filed and whether other traders would have a legitimate need to use that term in connection with their own similar goods or services. As part of that determination, IPONZ may conduct a search of the internet in order to assess whether the term is commonly used overseas within the trade in question. That information is taken into account and is a factor when determining whether other New Zealand traders should be free to use the term. The word ‘Saison’ is trademarked in New Zealand. It is a French word meaning season and has been used to describe a specific Belgian style of beer for over 150 years. What would the NZ Government’s attitude be to a distinctly New Zealand product or name, or a even Maori word or symbol, being trademarked in a foreign country preventing NZ businesses from exporting their product to that country. Trade mark rights are national rights – It is up to each country’s domestic laws to set out the terms and conditions for the registration of term/word/symbol etc as a trade mark. Registrability is assessed on the basis of what terms consumers and traders understand in that country. It is possible for foreign terms to be registered as trade marks in any country, provided the term is capable of being distinctive for the goods and service for which it is registered. Just because the term may be considered generic descriptor for a particular good or service (or incapable of being distinctive) in one country does not automatically mean that it is generic in all other countries of the world. Hence, foreign words are registered in New Zealand as trade marks or part of a trade mark, just as English words are registered as trade marks in non-English speaking countries. The policy issue here is that in foreign jurisdictions, such as Germany, distinct New Zealand or Maori words and symbols, may be considered to be sufficiently unique (non-common) to be able to distinguish the goods/services of one trader from those of another, therefore meeting the criteria for trade mark registration. At present, there is no international legal standard to prevent these circumstances (trade marking of common words in other linguistic jurisdictions) from occurring. It is a matter of addressing the issue through the national laws of the country in question and using their criteria and exceptions as a basis for objection to the competing foreign trade mark or for defending a perceived infringement. DB has trademarked the name “Radler”. I believe that the brewery has also trademarked the name “Saison”. Do you accept that these are internationally recognised names for beer styles? For your background information, Monteith’s Radler was first produced by the Monteith’s Brewing Company in 2001. Monteith’s, which dates back to 1868, was looking to add a limited edition release to its portfolio after the huge success of Monteith’s Summer Ale. The team decided an appealing citrus infused full strength and full flavoured beer would fit well with the existing Monteith’s variants. The brand name ‘Radler’ was chosen because the team wanted something distinct and interesting. At this time, the term “radler” had no meaning to ordinary New Zealand consumers. A beer mixed with lemonade is a shandy in New Zealand. In 2003, two years after Monteith’s Radler was launched, the Monteith’s Brewing Company applied to The Intellectual Property Office of New Zealand (IPONZ) to trademark the brand name ‘Radler’. This application was granted. Yes, DB Breweries and Monteith’s are aware the term ‘Radler’ is used overseas. But our application to IPONZ was successful because at the time, the term ‘Radler’ was not in common usage in New Zealand and because it was specific to Monteith’s. In January this year it was brought to DB’s attention that Dunedin-based Green Man Brewery has released a beer under the name Green Man Radler. DB wrote to Green Man asking them to respect our registered trademark rights .The company agreed and placed stickers on its bottles replacing the trade mark “radler” with the word ‘Cyclist’. A few months later the trademark issue was raised by SOBA (the Society of Beer Advocates). DB Breweries received notification from Hamilton lawyers James and Wells that SOBA had applied to have the trademark ‘Radler’ declared invalid on behalf of SOBA through IPONZ. This process is underway and is likely to take a further three to four months. Has DB attempted to trademark any of the style names: bock, doppelbock, porter, winter ale, tripel or pilsner? If so, which. If not, why given that you brew these beer styles and have made a significant investment in these beer brands? Monteith’s currently produces Monteith’s Black; Monteith’s Celtic; Monteith’s Golden; Monteith’s Original; Monteith’s Pilsner as well as two seasonal releases: Monteith’s Summer Ale and Monteith’s Dopplebock Winter Ale. We obviously make our own decisions regarding registration of trade marks based on the investment in them and other considerations. We protect each of our variants as we consider appropriate. We also have a trade mark registration for SAISON dating back to a seasonal release in around 2001. DB Breweries trademarked “Radler” as a reflection of the significant investment it had made and the brand recognition we had achieved from 2001 until 2003. This investment continues. The trade-marking of brands is standard business practice worldwide. 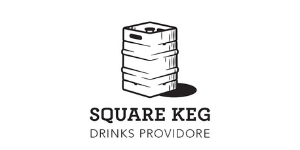 I have seen comments from the brewery defending its right to protect it’s trademark, but is it appropriate to trademark names that are identified styles of beer? Isn’t this exactly the same as a New Zealand winery trademarking the name “Champagne” for a sparkling wine? As we understand it, the term Champagne is protected by the French and can be used only by producers from a specific grape growing and wine producing region. There is no comparison between these situations in this regard. Would the DB trademark prevent a German-brewed Radler beer from being imported into NZ, or a Saison such as Saison Dupont? Has DB ever enforced its rights in respect to imported beers in this way? DB Breweries owns the trademark “Radler” in the New Zealand environment. A trade mark registration gives the owner the exclusive right to use the trade mark in New Zealand. That means no one can produce or import a beer branded “Radler”. We have not been aware of any imported beer called “Radler”. You indicated that you weren’t aware of any imported beers using the name Radler. Are there any imported Saisons available in NZ? For example Saison Dupont. Has DB ever exercised or sought to exercise its legal rights in relation to imported or domestic Saisons? No, we are not aware of any commercial quantities of imported beer using the name Saison in NZ. We have trade mark registrations which cover aspects of most of the Monteith’s beer variants which we produce and we assess each on a case by case basis. I don’t think any of the registrations include the term Doppelbock. Appellation d’origine contrôlée notwithstanding I think the champagne analogy is relevant, but I will rephrase it. A decade ago the wine style Pinot Grigio was barely known and certainly not in common use. Given that DB neither invented the Radler style nor its name and at best popularised it in the last few years, how does trademarking the Radler name differ from the situation had a wine maker trademarked Pinot Grigio a decade ago? Pinot Grigio is a grape variety. 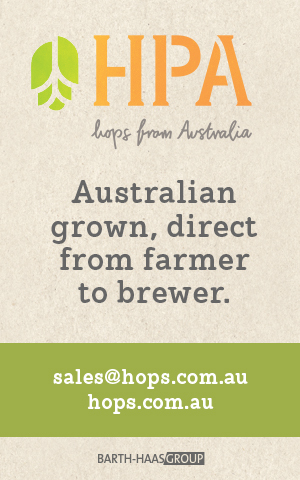 DB has not registered a variety of hops or barley as a trade mark. There is no real analogy in that respect. As mentioned earlier, ‘Radler’ was chosen because the team wanted something distinct and interesting. At the time, the term “radler” had no meaning to ordinary New Zealand consumers which is why the trade mark was granted. The decision follows a three-day hearing during May in Auckland and ends a legal process which began over two years ago. In April 2009, DB received notification from lawyers James & Wells that their client, Society of Beer Advocates Inc (SOBA) had applied to have DB’s trade mark revoked. SOBA argued that ‘Radler’ is a generic term for a style of beer, something which DB has long rejected. DB’s general manager marketing, Clare Morgan, says the brewer is pleased with IPONZ’s decision to uphold the trade mark ‘Radler’ which it registered in 2003 to protect the significant investment DB has made in creating and marketing the brand in New Zealand. IPONZ has awarded costs to DB however Ms Morgan says DB will not be seeking them from SOBA. I completely agree DB should not have been granted a trademark on the term radler, or certainly the trademark should be overturned now that the term is more widely understood in New Zealand. They are kind of correct on one point, which is that “radler” is not a *style* of beer, traditionally it’s a drink made by mixing beer and lemonade, basically a shandy. However this just undermines their case further in my view, as the drink they market as Radler is not actually a “radler” drink in the traditional sense. I heard of Radlers in Germany before down this way… anyway, we call them Shandys. Nobody buys shandys anyway, they are easy to make with your beer of choice. Lets see DB try and trademark “Diesel”. That is also the german term for Beer mixed with Coke. I’m with you on this. 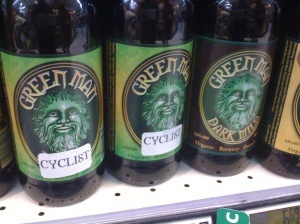 But I live in Dunedin, home of the Green Man, and it pains me to say that the “Cyclist” is horrible. It tastes very strongly of citric acid and neat lime cordial. We had some at our beer club a few meetings ago. And for the first time ever we didn’t finish a beer. (To make it worse a foul up mean that two of us had bought the same beer along). Before this blew up I used to quite enjoy the Monteiths radler as my afterwork beer in summer. I don’t touch it now but the Green Man cyclist is undrinkable. I am a beer buyer for a few bottleshops, safe to say, I will not be buying any DB products.